Here are the basics of CBD Oil. Hopefully, after reading this article, you can answer your question of, is CBD oil for me?? I had heard the name CBD Oil, but never really gave it much thought. Then last year, I had a friend that told me about it, and how she and her husband considered trying it with their son, who suffered from having several seizures a day. A little over a year ago, I got finished with my 2nd appointment, I was leaving my doctor’s pain management office, with a prescription in my hand for hydros. I suffer from Psoriatic Arthritis and some days I don’t even have to move to hurt. I was hopeful that I could get my prescription filled in the town in which my doctor practiced, sadly that was not the case. You see when I got my first prescription from my pain doctor, filled, it took me 4 days!!! Yes, 4 days! I was treated like I was a druggie, or like I was some kind of criminal!! Two pharmacists told me how the government was cutting back on opioids and blah, blah, blah, blah, blah. None of that mattered to me at the time. I was in pain, and usually when I’m in pain, not much else seems to matter. After going to 3 pharmacies, I finally was able to get my script filled. So, after my second appointment, and being turned down once again for pain pills, in which I needed. I became a bit hysterical. Why was I being punished for what others did with their pain pills? I never abused mine. Never sold them. Nor did I give them away for others to use. In fact, after the difficulty I had with getting my first script filled, I only took my pain meds when I could no longer handle the pain I was in. I held on to as many pills as I could for as long as I could. It still upsets me to think about it. That feeling of hopelessness, and the reality that there was absolutely nothing that I could do–about my pain. Then I mentioned CBD Oil to my husband. He remembered we passed a smoke shop on our way to the doctors. We both figured it wouldn’t hurt to try. When we pulled into the smoke shop parking lot, I was extremely skeptical. And I felt like such a fish out of water. The gal that waited on us, explained what CBD Oil was, and how to take it. So, we bought it. I was so desperate to quiet the pain, as soon as we got in the car, I took it like the gal had suggested, and waited. Before we got home, the pounding from my pain had stopped. As I’ve said in previous posts, I will be nothing but honest with you. I told my husband that it has to be all in my head. This little bottle of oil, well, it just couldn’t be for real. When we got home, my husband tried it, he has bad ankles from a fall he had at work years ago, and he was just surprised as I was, it worked for him too! CBD oil was for real! It was legit!! We had found something that really helped me, helped both of us. And we didn’t have to go running around for 4 days to get it!! That was last November 2017, and I’ve been hydro free since then. Side effect free. I was back in control of my well-being. Not some doctor or a pharmaceutical company. Me! For the first time in a very long time, I was happy. Next month will be a year that I’ve started taking CBD Oil. And just last August we tried a CBD oil vape pen. I’ll get into that later in this article. There is so much information on the internet now on CBD Oil. Some of the information, you need to have a Ph.D. degree to understand. And as CBD Oil became more popular, the definition of it became even more difficult to understand. It’s certainly information overload! Sometimes, making it complicated to understand. So, just what is CBD oil? CDB (Cannabidiol) is a compound found in marijuana. as well as THC (delta-9 tetrahydrocannabinol). It is the THC that marijuana is most known for. It is the compound found in marijuana that gets you high/stoned. CBD does not get you high or stoned. It is not a psychoactive compound like THC is. There is nothing mind-altering about CBD oil. The changes that CBD makes, in the body, has shown researchers that is does have medical benefits. The plant Cannabis Sativa contains both hemp and marijuana. It is the hemp part that contains the most CBD. Our body produces certain amounts of CBD. It is the CBD that attaches to certain receptors in our body. There are a couple of these receptors, CB1 that is found in the brain, and another, CB2, found in our immune system. CB1 found in the brain affects movement, pain, emotions, mood, thinking, even our appetite–to name a few. The CB2 found in our immune system affect pain and inflammation. I have learned that inflammation is what causes pain. I now that this is true for me. If I can control my inflammation, I can control my pain. The CBD Oil that we can take, does not attach to our receptors like it was originally thought, more so it actually tells the body to use the CBD that our body produces to attach onto those receptors. I hope I explained this so that everyone can understand. I didn’t want to get all fancy and throw medical terms at you. Heck, I don’t understand them myself, how could I expect you to? The list of health benefits by using CBD oil are many, and I will list those. But I wanted to first address the health benefit that it has helped me with. This I know for sure, from my own personal use. Therefore, I know for a fact that it does work. It helps my PsA (psoriatic arthritis). It reduces my inflammation, therefore I have less pain. It’s as simple as that. I used to take it 2 times a day, but have cut back to just once a day. Am I pain-free? For the most part yes. It definitely takes the edge off. I can now function pretty much pain-free. Did you hear me say that right? I can now function, something that I’ve not been able to do in many years!! PsA robs you of a lot of your independence. I will always have stiffness, which can be uncomfortable, but that is just part of this disease. My immune system attacks my joints, causing irreparable damage to those joints. Anyway, I do not have to worry that I’ll become addicted to CBD Oil and I have none of the side effects like I had when I took the hydros. I am able to be me and enjoy the second half of my life. And the more I work on getting my strength back, I will be able to do even more. Did I tell you I was able to check off one of our bucket list items? Two and a half weeks ago we went kayaking at Silver Springs (Florida) and it was awesome. A year ago, that was not even a possibility for me. How cool is that?? It is not a fad. Which is what I first thought it was until I tried it and experienced the pain relief myself. A pain I have suffered from for over 15 years. It seemed like each year the pain became more and more unbearable. There were days when I couldn’t even get out of bed. That is no way to live. No way for anyone to live. I am so grateful that I found CBD Oil, and that it actually has helped me. Please keep in mind that just like with any other kind of medicines, because CBD oil worked for me, it may not work for you. That doesn’t mean it’s not useful, because I am living, walking proof that it does. Keeping my promise, to be honest with you, when I have a flare up due to my PsA, CBD oil does not help that kind of pain. That kind of pain is excruciating. But, my last flare up that I had this past July, lasted only 3 days. I will take 3 days of pain over 2 or 3 weeks of pain, every time!! Two to three weeks use to be the normal duration of a flare-up. I believe by me taking the CBD Oil, it has shortened the amount of time that I am actually in the flare. And might I add, that I’ve only had 2 flare ups since taking CBD oil, back in November 2017. Usually, I have 3 to 6 flare-ups a year. If you get pain due to inflammation, give CBD oil a try. There is no specific dose, you have to see what works for you. I’d start off with the lowest dose possible. Too much has given some people a headache. As for any side effects, I have experienced none. Last August I tried the CBD vape pen. I was leery of trying it, but it works faster and lasts longer. So it too does help. I’ll stick with the oil, or as some call it tincture. My husband prefers the pen. I’ll use the pen occasionally in the evening because at times it has helped me sleep better. It helps me to stay asleep, once I fall to sleep. I have what my husband calls a hyper-brain. Its very difficult to shut it off at bedtime, so that I can go to sleep. With all the research I did online regarding CBD oil I have learned a few other things. Like how 90% of our inflammation comes from our gut. The whole imbalance with friendly and unfriendly bacteria…do you now that antibiotics mess with that balance like crazy?? But sometimes antibiotics are necessary and I know this. Long story short, I take a probiotic to keep my gut in balance, and that helps with my inflammation, which helps curb my pain. I’ve also added vitamin D to my supplements as well. If you decide to start taking CBD oil or any supplements for that matter, check with your doctor first, just to be sure. But let me warn you, some doctors don’t know enough about CBD oil to have much of an opinion about it. And then there are those doctors that think only they, can help with your pain. Believe it or not, I’ve gotten more positive feedback from their nurses. A few I’ve talked with, either took CBD oil themselves or gives it to a loved one to use. I want to add that my youngest daughter took it last year when we drove down to Florida. For some odd reason, my driving scares her (rolling my eyes), and she took my CBD oil for her anxiety. When I asked her if it helped, she answered yes. CBD oil works for me. I cannot say whether it is for you or not. Do some of your own research and then decide for yourself. Known side effects are from people that I know, that said they experienced one of the following- diarrhea, tiredness, dizziness, increase in appetite, or dry mouth. For a few, these side effects were only temporary. CBD oil can be taken swallowed, vaping, chewing gum, edibles, drinks, topical ointment applied to the skin or applied under the tongue. The last method is how I use it. That first gal that sold me CBD oil, suggested holding it under my tongue for 30 seconds. And I still do that today. Doses depend on such factors as in body weight, the health issue you have and the concentration of the CBD oil. Personally, I went for the purest form of CBD, in the highest doses. Higher doses, I don’t have to take as much as I do with lower doses. How long does it take to work? Usually 20-40 minutes. But some feel a difference sooner, or it takes longer. Or as I stated above, it just may not work for you. For your sake, and for whatever reason you decide to take it for, I truly hope it works for you. The liberating feeling that comes with taking care of your own health issues, without doctors and their prescription drugs is just awesome!!! I want to let you now that there are some CBD oils that do have traces of THC in it. If you are drug tested on a regular basis, for whatever reason, it is, probably best that you do not use it. Go for the CBD oil that has no THC in it. When looking to buy CBD oil, first off learn the basics. You already now that some oils contain THC, so don’t let someone tell you different. Read the bottle. Since CBD oil has become so popular it is now available in flavors. The prices vary. I’ve seen one bottle labeled $250. My take on that is, the retailer knows that some people are desperate enough to pay that amount of money. The most I paid for a small bottle was $100, and yes it worked. But it worked no different than the bottle I paid $54 for online. CBD oil comes in different strengths. This is where I got confused. I had bought a bottle that was 750 mg. I thought each drop would give me 750 mg of CBD. Nope doesn’t work that way. When I went online to understand it better, I only got more confused. Here is the low-down. I’ve seen where they come in many different strengths; 250 mg, 300 mg, 500 mg, 600 mg, 750mg, and 1000 mg. Once I saw a 3000 mg bottle. Not only was it super expensive, but because I’ve never seen a bottle in that strength before, I doubted that it was the real deal. Here is an example. Let’s say you have a CBD Oil 30ml bottle of 500mg.CBD oil (remember that is 500 mg for the entire bottle). Then you will divide 500 (mg) by the number.30 (ml) which is how much is in your bottle. You will come up with the dosage of one full dropper (most bottles have a 1 ml dropper). I check my math by going here; How to Calculate. Like I mentioned already if you decide to try CBD oil. Get online and learn about it. 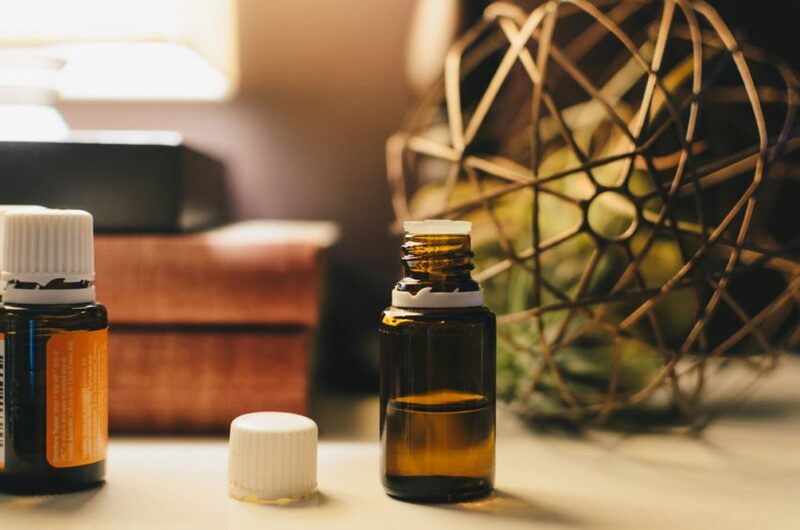 You’ll be learning information that will not only prepare you for when you go shopping for CBD oil, but it arms you with information for when you go to see your doctor about taking it. Unfortunately, there are people that are not going, to be honest, and try to sell you products that are not truly CBD Oil. That is why learning all you can, helps. Here are a few helpful articles that will help you to make an educated decision, when you decide to buy CBD oil for yourself. If you decide to buy online, look for customer reviews. And no customer reviews from the site in which you’ll be buying your oil from. Those can tend to be tainted/fake. I hope this article has helped you. If you have any questions, please leave them in the comments section below, and I’ll answer what I can as soon as I can. The advanatages if taking CBD oil seems great. But I would like to know if it is illegal to use this? I really wanna give it a shot because my mom has back pain for a really long time, but I’m scared if it is legal or not? After knowing if it is legal I will read your article in depth and going to give it a try. It depends on where you live. It is legal in most states here in the US. Where is it you are from?? Wow…What an interesting article! I have a little osteoarthritis which is tolerable but I have a very good friend with Rheumatoid Arthritis and a sister with Fibromyalgia. My sister lives in Washington state so I know it would be legal there but my friend with the RA lives in Arizona. Do you know if it’s legal there? You were very thorough in your description of CBD oil and by pointing out that it may or may not help everyone. I’m certainly going to refer my sister and my friend to this article. I hope it continues to work for you. Thank you for stopping by. Let your sister know it does help, my PsA is comparable to RA. As for your friend in AZ, let them know that CBD oil is legal there. And a heads up, if it’s not legal in your state, as was the case last year in Indiana, I just went online and bought it. BUT make sure it is a reputable store you are buying from. Again, educate yourself. Great article on CBP oil. I know a lot of people who are using it now and swear that it helps them a lot. I love that it is becoming more popular and hopefully people are taking less and less pharmaceutical drugs. I live in Canada, and cannabis just became legal here, so I’m sure that CBD will be more readily available for those in needs shortly. 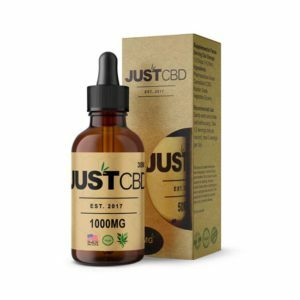 Is it easy to get CBD oil in the US? I know some states have legalized medical marijuana but I’m not sure how it works for having possession of it in other states. I just seen an article about marijuana becoming legal in Canada. I’m sure that is great news for A LOT of people. I’ve never thought of marijuana as a “Drug.” I’ve always thought, its a PLANT, not a DRUG. I’ve never had any problems whatsoever with someone who uses cannabis for recreational or medicinal purposes. I’m glad that the US is starting to at least let people get help they need from medical uses of marijuana, and CBD oil seems to be really helpful for a wide variety of ailments. Don’t be afraid to get help. If you can live with less pain, and without side effects of traditional prescriptions, do it. I wish more doctors and people thought like you did. For so long marijana has been seen as a recreational drug that they can’t fathom it being anything else. The wonders of both the plant and the oil is truly astounding. I can’t believe its taken this long for the public to see this. BUT I’m sure the pharmaceutical companies aren’t too happy about it. This was a good article on here are the basic facts of CBS oil. There’s nothing like going to the doctor to get your medication and be treated as though you are someone trying to cheat the system. It is amazing how thisCBD oil helps wurh your pain so quickly. I can imagine that the Pen do work quicker because it’s like a straight shot. Thank you for mentioning that they have the CBD oil without THC in it because we are regularly drug test on my job this is going to help me with my back pains I appreciate this. Thank you again for blessing us with such a wonderful article. Hi Quinn, and your very welcomed. I remember reading about the THC and drug testing, and well, I wanted people to be aware of that. I know it will help you with your pain. Please come back in the future and let me know how it’s working for you, ok?? All due to Wealthy Affiliate. I’m so glad to meet someone else who has benefitted from CBD oil. It truly is grear, isn’t it? I’ve never heard of phoenix Tears before, what is it? Does this help with your pain as well? I will have to investigate that one further. Very interesting story about your own experience. I am sorry for your suffering but glad the cbd oil is helping. I have never used it but, I have thought about many times and have heard my good thinks about it. Your article was very well done. Your sites is very information about other topics also. You should give it t try, if yo have a use for it. They also make it for pets. I have a friend in Washington state that uses it for her 15 year old dogs arthritis. She couldn’t afford the vet scripts, but can manage getting the CBD oil. Thanks for stopping by, I am happy that you like my site and find it informational. That is what I try to present. Thank you for the article. It’s very interesting to read about other people’s experience with CBD. I am glad that CBD oil works wonders for you and yours. People hear more and more about CBD, but many are confused about its effects and benefits, how CBD works, and what product to buy. This is a very good educational blog post! I was diagnosed with hypothyroidism due to Hashimoto’s autoimmune disease. CBD oil helped me to restore my sleep on day 3 or 4 of taking it, and then it returned “me” to me: removed brain fog, brought back my energy, I was able to concentrate again on a task, focus in a conversation, remember the schedule for everyone in my family as I always did before my thyroid failed, learn and work and be productive again. You said it well: “I am able to be me and enjoy the second half of my life.” – the same is true with me. Thank you again for the article, and all the best to you. I’m so afraid that because CBD does work and on so many issues, that the government will step in and interfere with us being able to get it as we can now. I pray that doesn’t happen. And I am so happy to hear that it’s helped you so well. It really is a wonder drug. My husband vapes it, and I’ve tried it but I prefer the tincture. How do you take your CBD oil? I prefer the tincture/oil drops. How I first used it is how I prefer. Although I’ve never tried the edibles or the creams. Have you?